By Vicky Mitchell. Photos courtesy of Chris Boland. 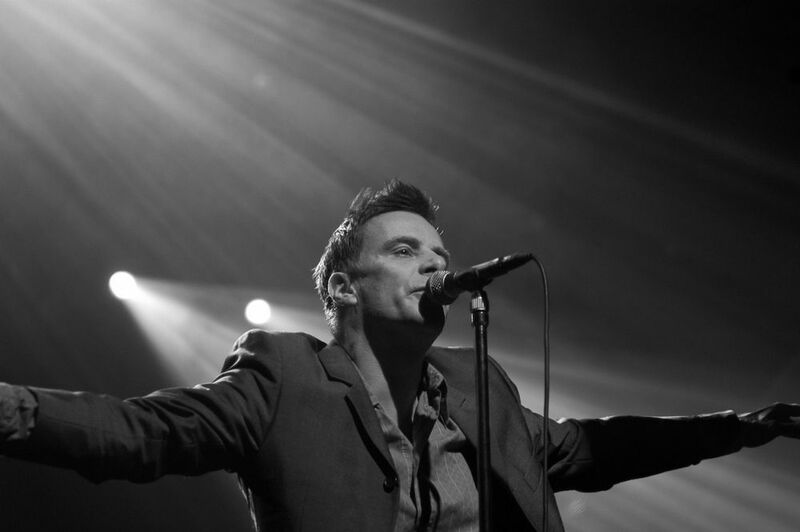 Deacon Blue returned to the Music Hall with their ‘New House’ tour on St. Andrews night. The last time I saw them live was 1990 at the AECC, 24 years on they still sound fantastic. The set kicked off with ‘Bethlehem Begins’ and ‘Wild’ from Their latest album, ‘A New House’. These were well received by the audience. Lead singer, Ricky Ross thanked the crowd for their polite reaction and promised some older songs were on the way. As the opening chords to ‘Twist and Shout’ blared out the crowd got to their feet and started to enjoy themselves. A good mix of older and more recent tunes came next, with classics like ‘Fergus’, ‘When Will You’ and ‘Real Gone Kid’ being especially well received. The set finished with ‘That’s What We Can Do’ from their ‘The Hipsters’ album. The crowd were on their feet and chants of “encore” were resonating around the building. The band re-emerged from the darkness and Ross sang Orphans. His rendition was amazing proving, if proof was needed, that his voice has not diminished with age, the band then did a rock and roll medley and the evening finished with ‘Chocolate Girl’, ‘Dignity’ and ‘Wages Day’. A fabulous two hours of music. There were some complaints about the venue being all seater and the bar closing at 8:30pm, but despite these minor grumbles the atmosphere was fantastic and the music top quality.